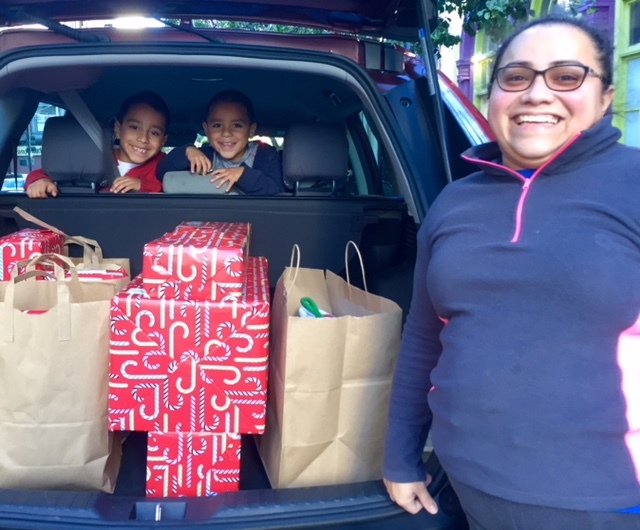 Making the holidays bright for our families! Registration for 2018 is now officially closed. 540 family wish lists have been adopted by 435 donors! But wait…. there are still more families that need your help! 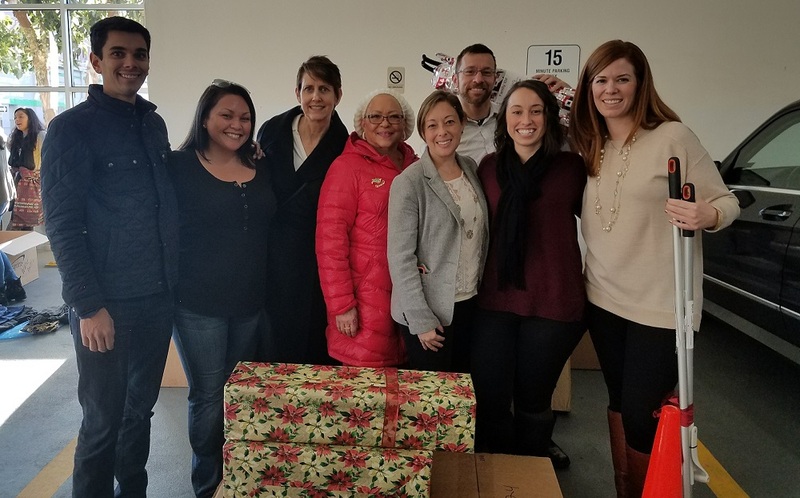 Adopt-a-Family pairs individuals, families, civic groups, and corporate teams with Compass families who are homeless or at imminent risk and lack the resources to buy holiday gifts. 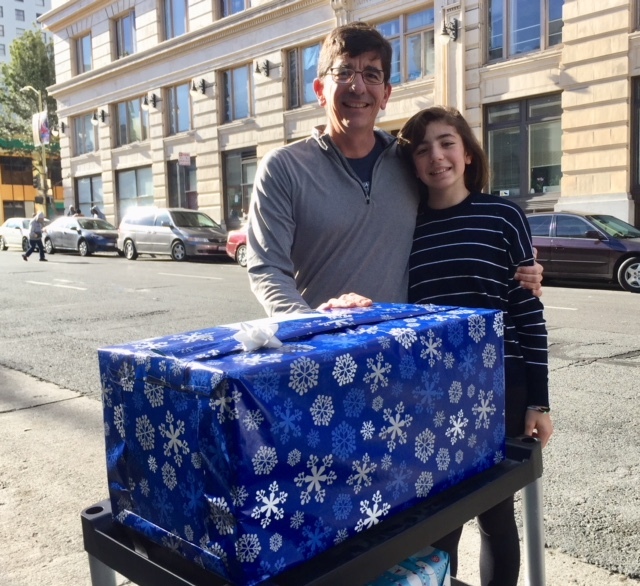 For many families, these gifts will be the only ones they will receive during the holidays. 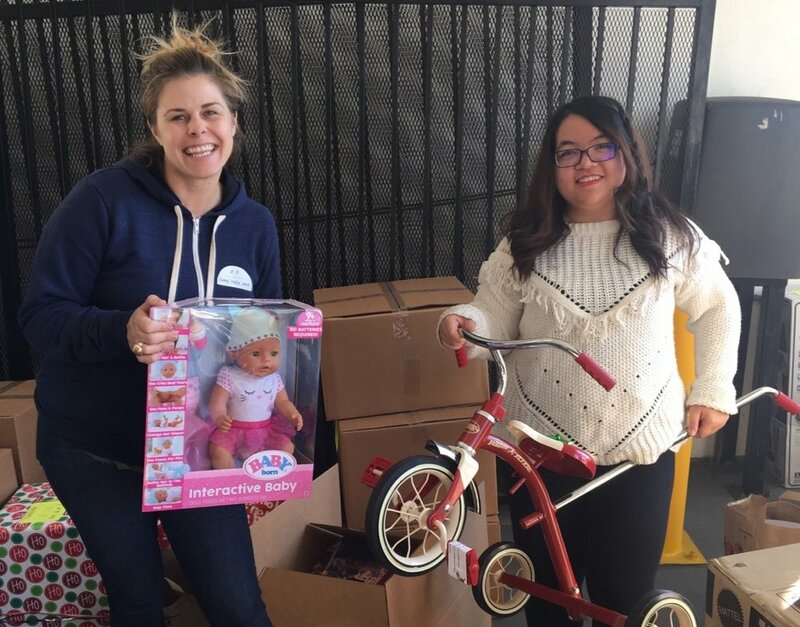 Families, individuals, and groups have made Adopt-a-Family a holiday tradition - the true meaning of the season - by giving gifts and showing compassion to others. Although registration is now closed, we have families who are entering Compass Family Shelter and families who are waiting to get into a family shelter unit who did not get adopted this year. We will provide these families with donations of clothing, backpacks, toys for the children, hygiene items and other supplies that are coming in to our service hub. You can help these families by providing Safeway and/or Target gift cards. 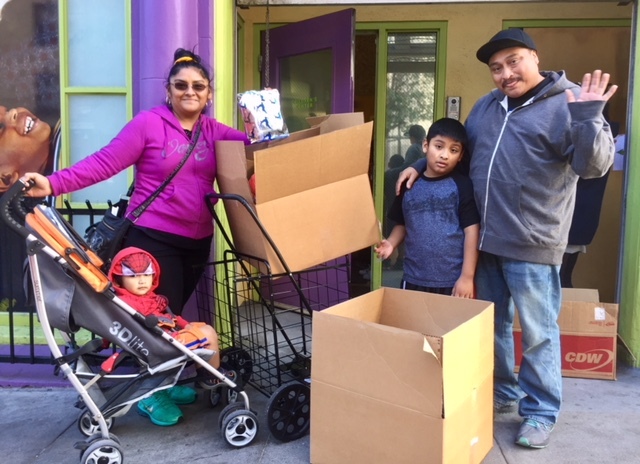 You can drop them off or mail to us at Compass Family Services, 37 Grove Street, San Francisco, CA 94102 or you can make a donation by clicking the button below. Please put “For Gift Cards” in the note section. 2019 Donor Registration Starts October 1st! In order to participate, we require a $125 donation to Compass Family Services for each family adopted. This donation is waived for donors who are annual financial contributors to Compass Family Services and current corporate partners in our Community Investment Grant program. All donations are tax-deductible. You'll be asked to choose how many families and also how many people per family you'd like to adopt. The average cost is about $150 per family member. You will receive your wish list(s) within a few weeks. Compass staff will help you through the rest! 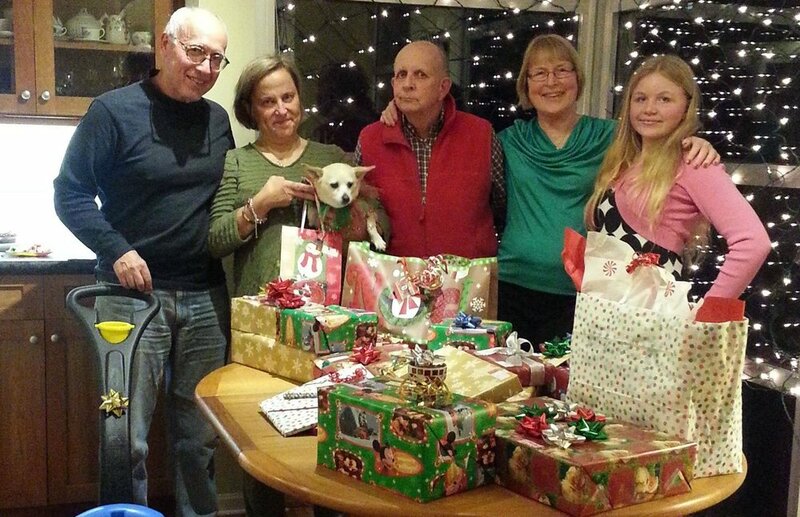 All Adopt-a-Family purchases are tax-deductible. You will receive a thank you letter in January describing your participation in the program. Keep your receipts so you can attach those to the letter for tax purposes. Our tax ID Number is 94-1156622. Shopping with Amazon or eScrip? You can designate Compass Family Services to receive additional funding through the AmazonSmile and eScrip programs! There are many different ways you can volunteer during Adopt-a-Family, whether you are adopting a family or not! 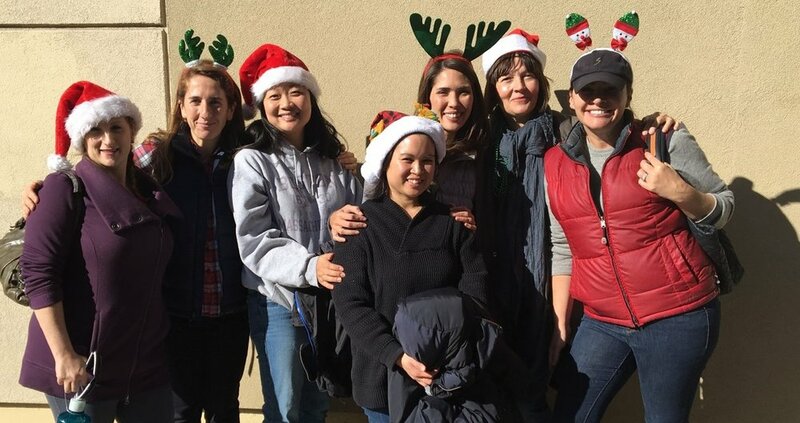 You, your family, group, or office team can help with administrative tasks or help during the donor drop-off days and family pick-up days at our storage facility. It takes a lot of people to make this project successful each year and we'd love the help. And... it's pretty fun, too! If you are interested and would like more information, email Karin Lamb for details about volunteer opportunities: klamb@compass-sf.org.